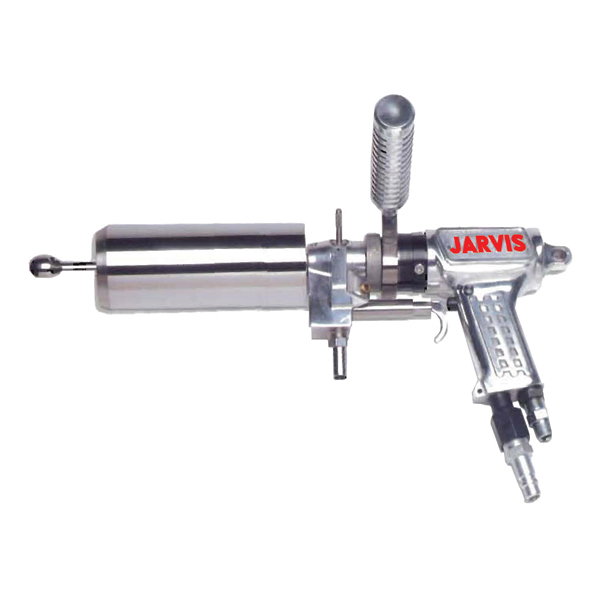 The Jarvis Sow Bung System Model VC – for the cutting out of sow bungs. • Quickly and efficiently cuts out sow bungs. • Fast – a single operator can bung up to 1200 sows / hour. • Easy to use, skilled labor is not required. • More powerful than the hog bung tool; extra power for the larger blades required on sows. • Increased yields – optimal blade size leaves more meat on the carcass, less on the intestine. • Higher grade casings – less casing damage than with a knife. • Hardened and ground solid stainless steel blades for long life.